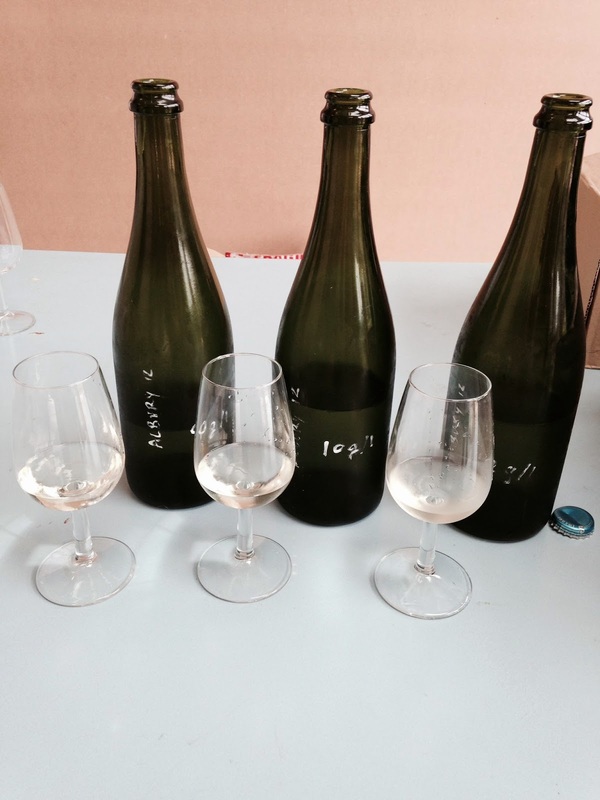 Earlier this week we tasted what will be the very first release of our quality bubbly. It's a blend of wines made from our 2011 and 2012 harvests, which were partly aged in oak before being bottled for secondary fermentation early last year. We were delighted with the results; a real credit to our vineyard manager Alex, who carefully nurtures the vines, and also winemaker Matthieu at Litmus. During the last 18 months the wine has been through secondary fermentation in the bottle (to give it its fizz) and then matured on the lees to develop it's character. The final stage of producing sparkling wine using the traditional method (or méthode champenoise) comprises riddling the wine so that the lees from the secondary fermentation collects in the neck of the bottle. This is then frozen, removed from the bottle, and then replaced with a mixture of the base wine and some sugar, called the dosage. The sugar is added to balance the acidity in the wine; we want to produce a dry (Brut) sparkling so after many tastings (!) we settled on just 11grams sugar/litre. "This wine has a firm backbone of ripe acidity, superbly balanced with a touch of sweetness. It has good fruit, both on the nose and palate, and finishes on a long, firm note. An excellent first sparkling wine from Albury." 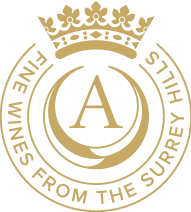 Albury Estate Sparkling will be released for sale at the end of November. Unfortunately we only have 1500 bottles so supply will be very limited.